For sleek summer style, the Held Airea Gloves are spot on. 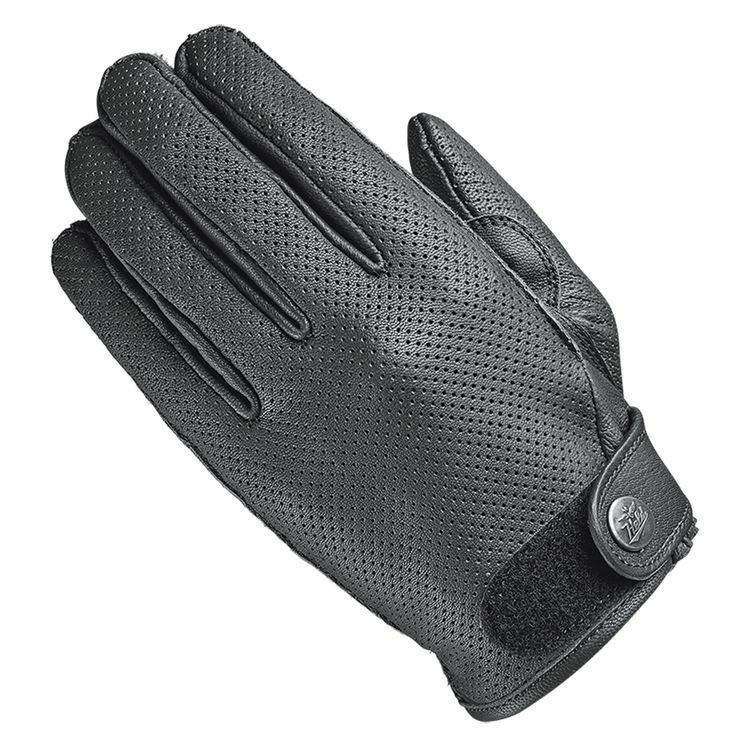 The fully perforated cowhide panel achieves total ventilation while the soft yet strong goatskin palm offers feel and control. The addition of schoeller-keprotec reinforcements lend strength to the already tough combination of goatskin and cowhide. The ad says colorfast but the black dye ran and stained my hands. It is very comfortable and airy so it is great for riding in hot weather. The material and workmanship are good but not the dye quality.